Elegant Shortcodes – the Learning Studio has been using a theme from Elegant Themes for the last year and wanted all faculty and students to have access to some of the same layout and formatting options. Shortcodes are [simple commands] in brackets that surround the content you want to put in a box, in a column, etc. Here is the page that lists all your options. 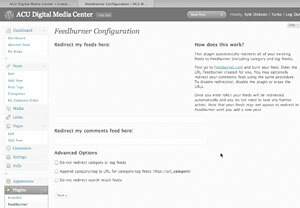 Jetpack – a collection of features and widgets previously only available to blogs on WordPress.com. 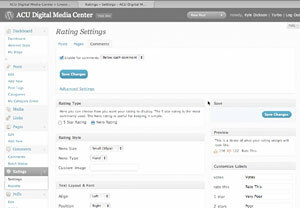 You can turn on basic blog statistics, post/comment subscriptions, and a half-dozen other additions. Jetpack requires a free WordPress.com account. RV Embed PDF – several faculty producing tenure portfolios on WordPress asked for a plugin that embeds PDFs. Once you activate RV Embed, you simply upload your PDF file using the Add Media button above the post/page editor. Twenty Eleven Theme Extensions – many of our portfolio users have used one of Automattic’s new default themes, Twenty Ten or Twenty Eleven. The latter included a dozen new features as well as some oddities that some users will want to alter or turn off. 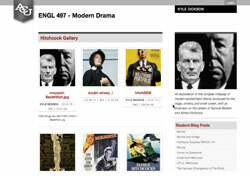 Twenty Eleven Theme Extensions adds a long list of theme customizations for those already using the Twenty Eleven theme. Wolfram CDF Plugin – requested by colleagues in math, the Wolfram plugin gives blog owners the ability to embed interactive models into their blog. For more information on the CDF standard, check the Wolfram site. As we prepare for a new year and our second semester on ACU Blogs, here is a quick list of updates to the core theme, sidebar widgets, and plugins available to blog owners. Now clicking on any name in a post or comment links you to the Author Archive page. Typically, author archives simply include the posts made to that blog, but we’ve added a comment archive at the bottom. *If you’re grading a student’s contributions to a class blog, this will bring them all together on one page. 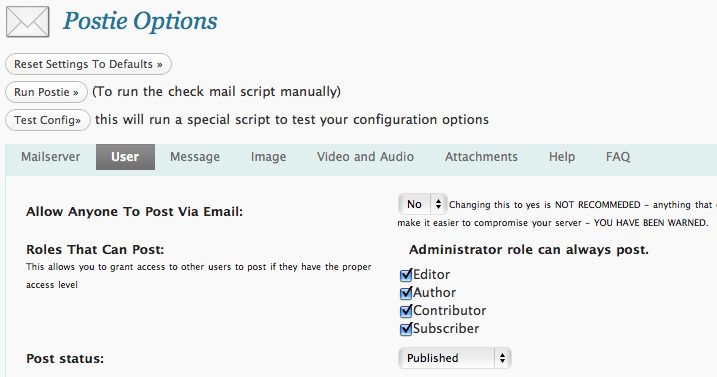 Another feature you may have seen on other blogs is a way to identify comments from the blog admin. Since in our case blog owners are often instructors, we have changed the style of the name block to set off admin comments more clearly. Students now have the ability to receive follow-up comments to a particular post via email. *If you don’t see a checkbox beneath the Submit Comments button, check the Plugins menu on the Dashboard to see if you need to activate the Subscribe to Comments plugin. 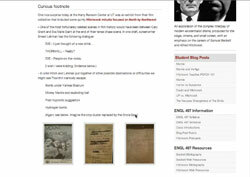 The ACU Blogs theme previously allowed admins to show either full posts on the homepage or one-paragraph excerpts. You may now select the length of automatic excerpts in the Theme Options menu as well as setting custom excerpts yourself in the post editor. One other advanced feature on the Theme Options menu is to set individual categories to include or exclude from your blog homepage. You’ll need the category id number which can be a bit tricky to find, but this is a powerful way to limit which posts appear on the front page of the blog. *For example, only posts with the category Announcements could appear on the homepage or you could exclude all student posts and have them appear on a different page. 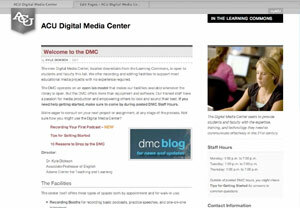 Many faculty and students wanted a faster way to get to the Dashboard or login to the blog. 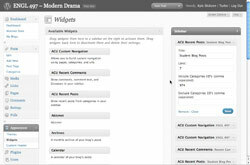 From the Appearance–>Widgets menu, just add ACU Login to your sidebar for login/logout as well as links to editing the blog and changing your avatar. There may be times when you want to group links to posts by category. The ACU Recent Posts plugin can also work with the Homepage Categories feature above to make posts visible in the sidebar even when they don’t appear on the blog front page. The plugin will need the same category id you needed earlier. Some users asked for sidebar links that expand and contract more like a webpage. The ACU Custom Nav widget now allows you to make sub-pages and sub-categories visible in the sidebar only when their parent is selected. For those with dozens of pages, links, or handouts to manage, this is a simple way to drill down to details when you need them. This plugin will allow you to embed certain kinds of web pages into your blog, including Google Forms and Google Calendars. For blog owners wanting to share Flickr photos and photo sets as well as search, embed, and link to Flickr photos with Creative Commons licenses. If you’ve wanted to add your recent Twitter posts to the sidebar, Tweetable requires a simple one-time setup. 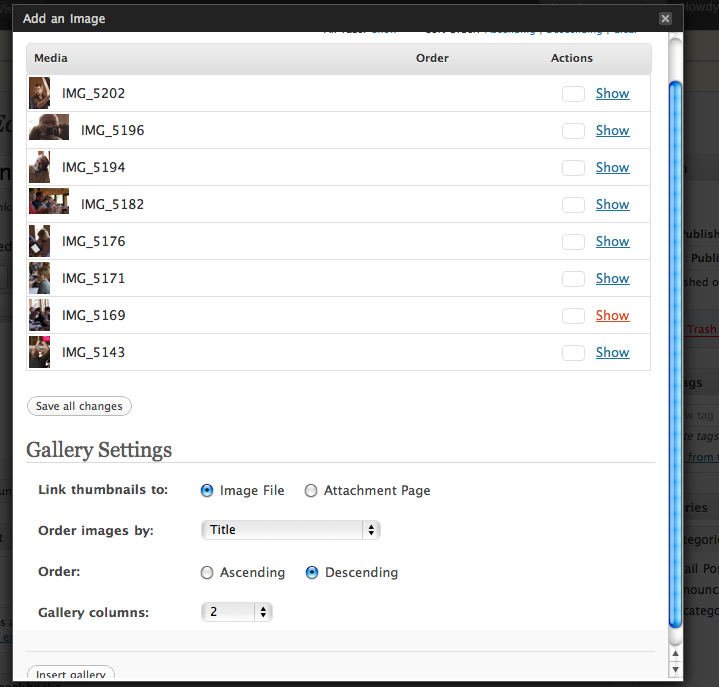 This powerful PDF viewer and archive can now embed Issuu documents directly into posts and pages. For questions about updates or any thing else related to your class blog, send your email to blogs@acu.edu. Heading into the semester, a number of things have changed on ACU Blogs, but one has stayed the same. The fastest way to add a post or file to your blog is Post by Email. Here are a couple examples. Now you can embed YouTube and Vimeo videos on your blog by pasting their URL into an email. Remember that the YouTube app on an iPhone or iPod touch also lets you share URLs by email. Big Idea – Have students or a TA search YouTube for relevant examples of course content and share it to the blog. Remember that the Photos app allows users to share images by email, so snap a pic and email it to the class blog. 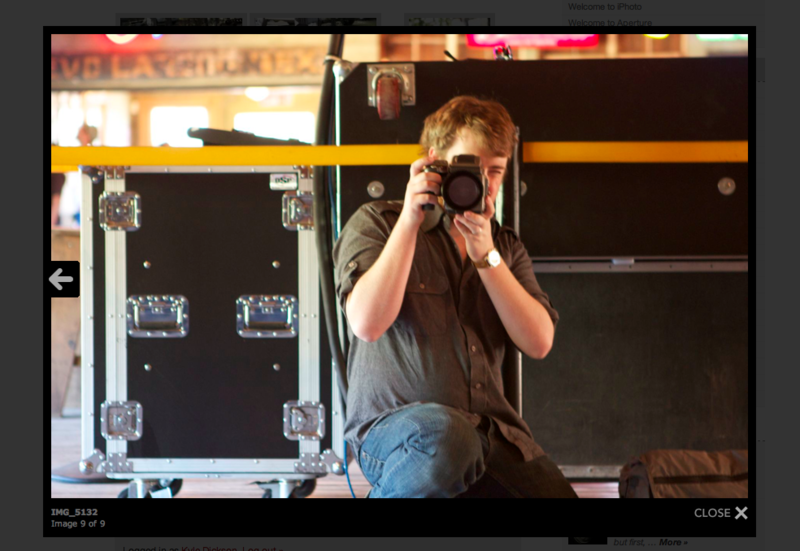 Any image you run into while web browsing can also be shared. Just tap and hold on the image until the Save Image option appears. This will save a copy to the Photos app where you can go add it to an email. Big Idea – Send students outside or to the web, searching for images that communicate a core concept they can then share to the blog. The Voice Memo app on iPhones and iPod touches will also share recordings up to 8 minutes long by email in case you have more to say. Big Idea – Send a class-wide evaluation of a recent assignment or ask students to share short discussion podcasts that document a group discussion. If there are files or handouts you want students to have, send them as attachments in an email. Any Office document or PDF can be dropped into an email and linked from a post in minutes. One quick way to generate PDFs from most any file type is Convert.io. Check the Convert.io blog to read more. Big Idea – Send slides or assignment sheets to the blog before heading to class to make them available to students without making a photocopy. Of course, the secret is that all four ways are the same. Post by Email is a deceptively simple way to make your class blog more than a once-a-week recipient of class announcements. There’s only really one thing you need to do before sending your first email, followed by a couple options you may want to know about. Activate the Postie plugin. 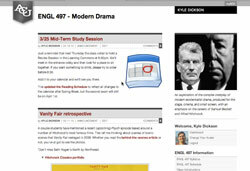 Even if you used it last semester, check to make sure Postie is active on each class blog. – From the Dashboard, go to the Plugins menu. – Find Postie in the listing and if it is grayed out, click the blue Activate link next to it. Check the Postie menu for the class blog email address. – From the Dashboard, go to the Postie menu under Settings. – Check the Mailserver page for the Mail Userid. – You can also use @blogs.acu.edu if it’s easier to remember (for example, both 1010_ENGL22101@blogs.acu.edu and 1010_ENGL22101@groupmail.acu.edu point to the same class email account). – On the User page select the Roles that can Post. – Permission to Post can be given for a class period, a week, or all semester long by simply changing this setting. – You may also choose to accept student posts, but only as Drafts to be approved by you before being published to the class blog. Finally, the Post by Email scripts typically check for new mail every 10 minutes or so, but you can Run Posti manually at any point. – At the top of the Postie Options page, simply click Run Postie.